Don with just one of several nice trout he landed today! 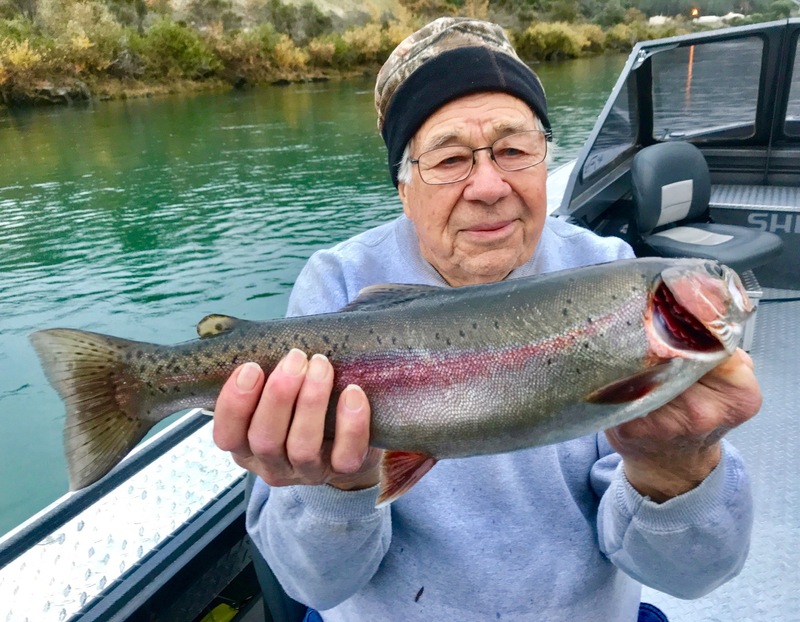 We fished Keswick Reservoir today and found some pretty good fishing in spite of the fact releases from Shasta were very small. We had some flowing water on the first pass at first light, making fishing plugs very productive, and included a mornig double for Don and Donny Jones! We hit a pretty good lull through the late morning hours, but found some biters around noon including a few big line peelers that threw the hooks before we got them to the net. It was a great day overall and I expect Keswick to hold up well into the winter months or at least until we see some dirty water from Shasta Lake. Above and below Shasta Dam this week!